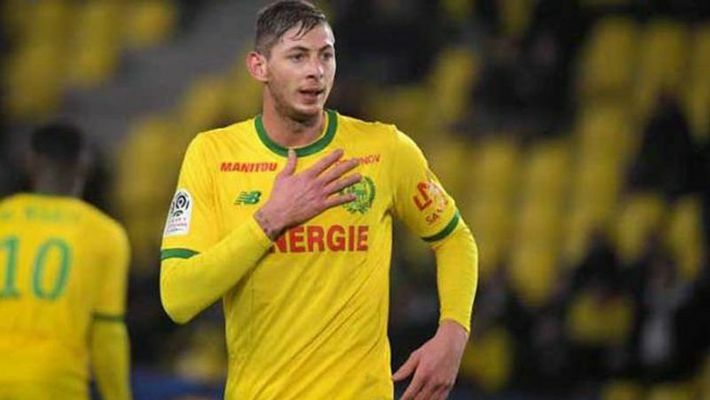 Buenos Aires: Argentine football star Emiliano Sala's father on Sunday was awakened from a sound sleep to learn that the plane in which his son was killed, has been found. "I can't believe it. It's a bad dream," Horacio Sala said when contacted by Cronica TV at his home in Progreso. He was the only one to stay behind in Argentina when the family rushed to Nantes, France to try to help with the search. "I talk to them every day. But since I don't have WhatsApp it's expensive to call them or for them to call me. But anyway, they kept saying days were going by, and that there had been zero word on Emiliano, or on the plane," his father said. Sala was travelling from France to join up with his new club, Premier League side Cardiff City, in a light aircraft on January 21 when it went missing close to the Channel Islands. Sala was flying in the Piper PA-46 Malibu plane after transferring from French team Nantes in a 17 million euro (USD 19.3 million) move. Top footballers were among more than 4,500 contributors to a crowd funding page that raised over 300,000 euros (USD 343,000) to look for the wreck. Ligue 1: Will WC star Mbappe and 'actor' Neymar do the trick for defending champions PSG?